Philly Vets Home 2015 – Page 2 – They fought for your home. Give them a home. Join us for light refreshments and coffee at our Landlord Appreciation Event! Give us feedback about how we can make our program better. Hear more about the benefits of partnering with PASSVF. Get answers to your questions about our housing program for formerly homeless veterans. Meet other landlords who have partnered with our agency. Thank you for partnering with PASSVF, to house and support veterans in our community! See the Landlord Event Invitation! On Aug. 4, CMCVAMC hosted a roundtable which brought together multiple agencies in the local Philadelphia area who are collaborating on ending Veteran homelessness in Philly by Nov. 11. During the event, a U.S. Army Veteran shared his homeless experience. Watch the video to find out more! PHILADELPHIA (CBS) — Former Army ranger Charles Bouges has an all-too-common story. “I had a mishap, lost my job, lost my wife, went through depression, just kind of gave up and didn’t have a place to stay,” he says. Bouges found himself on the street, contributing to the grim statistics on veteran homelessness. Now, he is a symbol of success for a collaborative effort to end veteran homelessness. City, federal and non-profit officials say they are closing in on their goal and expect that by November 11th, this year, they will reach what they call “functional zero” for the number of veterans living on the street– a measure that takes into account that some veterans may drift into homelessness but the effort will insure they will be quickly moved into permanent housing. 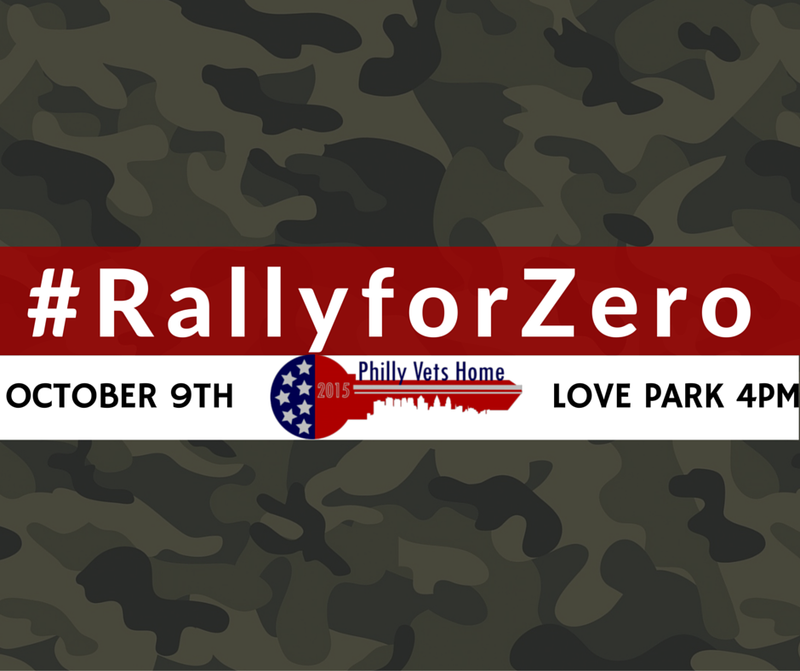 “Functional zero means that homelessness among veterans is rare, brief and non-recurring,” says Casey McCollum, Acting Homeless Coordinator at the VA Medical Center in West Philadelphia. She says the collaboration, called PhillyVetsHome, has housed 1,126 veterans since it began in August 2013. There are another 280 in transitional housing that will soon be permanently housed and, she says, 31 who outreach workers are trying to bring into the system. She also says additional resources have helped, though officials were unable to say how much the effort has cost because so many agencies are involved. Nahikian says, though, whatever the cost, it is less expensive than the cost of leaving veterans on the street. For Bouges, it was seeking medical attention at VA Medical Center that brought him into the system. Following his visit, he was directed to outreach workers who immediately offered him temporary housing and enrolled him in a detox and rehabilitation program. In six months, he’d been assigned permanent housing. As part of UESF’s efforts to address the housing stability of Veterans in Philadelphia, a special program has been launched for Veterans with utility challenges. Veterans in Philadelphia with utility shut-off notices or terminated utility service may be eligible for assistance through the Veterans Utility Grant Program—- running for a limited time. Eligible Veterans should call the UESF Veteran Utility Hotline at 215-814-6844 for additional information, and to schedule an appointment for service. Check out this great article on Generosity.org about the recent milestone achieved in Philadelphia! Everyday we are one step closer to zero!